Since 2015, the USDAC has hosted the People’s State of the Unionas an invitation to supplement the President’s stories by coming together in our own homes, schools, houses of worship, and community organizations to share our own take on the state of our union. Thousands of people in more than 350 communities have taken part over the last three years. The People’s State of the Union has two main parts: Story Circles across the nation, and a collaboratively composed Poetic Address to the Nation. The USDAC offers toolkits and online trainings to support anyone hosting a Story Circle, bringing people together to share stories from their own experience. Stories are uploaded to an online story portal where they can be shared and browsed. Then—inspired by these stories—an invited group of writers collaboratively composes the Poetic Address to the Nation, performed and broadcast live. This year, Story Circles will take place from January 25-February 4, 2018. The Poetic Address will take place on April 15th. 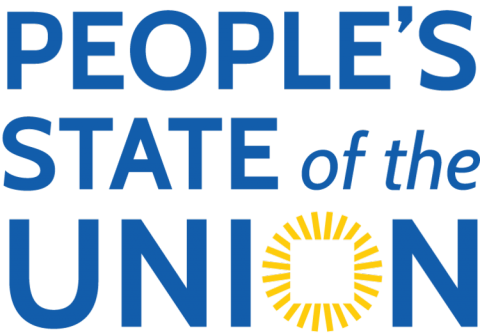 Download the toolkit to learn more about how to host a People’s State of the Union Story Circle in your community.